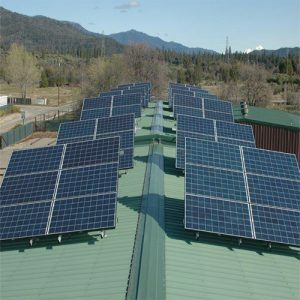 Integrity Heating, Air and Solar provides installation of premium renewable products for energy needs and power generation in the Redding and Chico, California areas. The products we represent are selected for having the highest standards of reliability, durability, integration, and measurable results. Insurance for 25 years of guaranteed performance. Expected 10 to 35% increase on the appraised value of your property. Solar panels are the perfect choice for reducing your carbon footprint. High-efficient, grid-tied solar-powered systems use PV solar panels to generate electricity. There is no waste or batteries in our simple grid-tied solution. The power generated is then used by you or sold back to your utility company. Now You Can Afford to be Comfortable! Each individual’s situation will be a little different. Your solar power system should be tailored to your lifestyle. We design a system based on your electric usage, sun exposure, available roof or ground space, and aesthetic concerns. With the rising costs of electricity, your savings from solar actually increase each year. The 30% federal tax credit, along with attractive financing and no money down options, can reduce the length of time it takes to see a return on your investment. Installing solar now can help hedge against inflation. SOLAR MAKES GREAT FINANCIAL SENSE! Where else can you go to earn a 25% return on your investment? 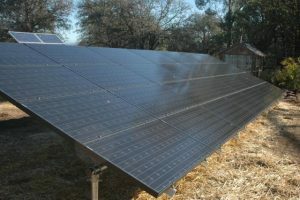 When calculating the amount of savings realized by installing a solar system, it is important to think long term. For example, if your electric bill is currently $250 per month, you will spend approximately $90,000 over the next 25 years at the current rate of electric inflation. Deduct the cost of your solar system from that and the difference is cash in your pocket! The panels used in our PV solar systems have a 50-year design-life expectancy. Today, that means ease, insights, and reliable solar energy. Tomorrow, it’s the intelligence to adapt to changing grid requirements via automatic remote updates, which download and push out to your microinverters. This is energy you can count on, today and into the future. This is energy evolved. Monitoring delivers performance data from your microinverters to the Web and carries system updates from the Web to your microinverters—two directions, optimal benefits. Monitoring lets you pinpoint performance issues instantly and resolve them remotely, before they get in the way of system performance. Fix your electricity cost over the next 50 years and hedge against rate increases. Bank your extra energy in the local utility-grid (net metering). Enjoy a system that requires very little maintenance. Be more comfortable, save money, and better your lifestyle. Own your own system outright after 4 to 7 years instead of leasing it for 20 years. Lock in low monthly payments that won’t increase each year. Ensure that the federal tax credit goes to YOU, not your lease company. Get a tax break with tax deductible interest (check with your tax preparer). Net metering tracks your production and usage, month to month over the course of an entire year. It measures the difference between the electricity you buy from the utility and the electricity you generate with your solar electric system. What to expect when Integrity Solar comes to your home! 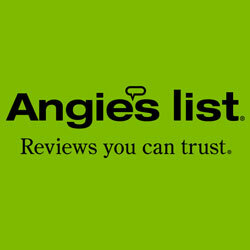 We will analyze 12 months of your electric usage and discuss your energy management strategy with you. A solar specialist will complete a site survey. Special attention will be paid to the ground area, shading, sun orientation, roof materials, roof pitch or slope, as well as aesthetic concerns. Next, we will design a custom system just for you. After acceptance of the contract, we will submit engineering documents for the permit. Upon permit approval, your installation date will be set.